Are you a modern Supermum? Is Supermum dead? At one time the label defined the ultimate ideal for the perfect career mum – a woman who successfully managed her home while holding down a full time job. But maybe it’s finally time for a new model? In the past, life was simple for ambitious women. We worked hard to succeed in careers we loved. We studied for our exams, possibly spent years at university or college, and climbed steadily up the career ladder, building skills, experience and contacts along the way. Then we met a guy that ticked all our boxes as a perfect partner (or at least a few of them! ), fell in love and started planning a life together – with dreams of ‘having it all’. In time we fell pregnant, and either decided to stay at home to raise our family, or return to a full time career. And that’s when the term ‘Supermum’ was born. Not so long ago, Supermums were held up as the ideal for which all working mums were supposed to aspire to – and so many of us fell short of. For as we all know, mastering the work-family balance can be challenging – often chaotic and rarely satisfying, especially when we work full time in jobs with no flexibility. Today we want more out of life. We are looking for new ways to spend time with our children and earn an income. We still want and need a personal identity beyond that of mum and homemaker, without taking away from either of those roles. In short, we want it all. And although we have an increasing presence in the workforce, and more and more companies are beginning to recognise the value of flexible working patterns, we’re still faced with the challenge of balancing work and our family life. So how do we combine a satisfying career with the rewarding demands of motherhood? 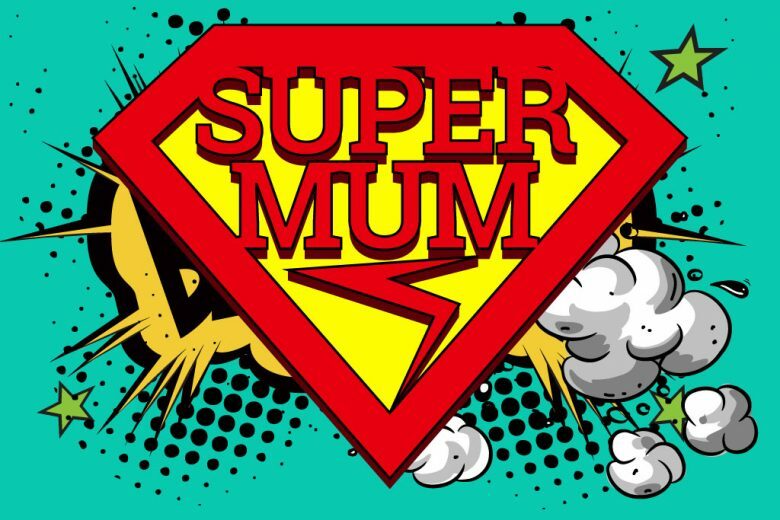 How do we redefine ‘Supermum’ for the 21st century? Increasingly, today’s mums are finding the answer in freelance, temporary or flexible work. Advances in technology have made it not only possible, but often preferable to work flexible hours from the comforts of your own home. And while we may not realise it, while we’ve been taking time off for maternity leave or to raise young children, we haven’t lost our place on the career ladder. While we may not have been heading out to an office every day, we’ve been retaining, refining and updating our skills in our homes – simply by managing our homes and caring for our children. We already work variable hours which include evenings and weekends, we have extensive courier duties, the ability to maintain calendars and coordinate the production of multiple homework projects. Mums need to plan and execute the organisation of social gatherings for all ages and interests. It would be a shame to let all these skills go to waste. So why not put them to work for you? And instead of assuming that you have just two career choices – work full time or stay at home with your family – open yourself up to unlimited new opportunities on your terms. Today’s Supermums don’t need an army of nannies to realise their career ambitions. Instead we can choose to work flexibly or from home in a range of industries, launch freelance careers or start our own home-based businesses. It’s no surprise that the number of mums turning to freelance or contract work is at an all time high. With more and more companies needing additional assistance during their peak seasons or for large scale interim projects, seeking out highly qualified individuals on a short term basis is a rapidly growing model for businesses. It allows companies of any size to fill the shortage of skilled and qualified professionals for each specific assignment, while enabling mums to ease back into the work force, discover new opportunities, increase their skills and contacts, and be at home when they need to. The number of business mums is also on the rise, thanks to the increasing costs of childcare, poor economic market, and improved opportunities and support for start-up, home-based businesses. So do we need to redefine the definition of a Supermum? Is it time to look to a new ideal for ambitious mums? One that gives us much more freedom of choice, and enables us to decide how we want to balance our lives between work and family? Isn’t the real Supermum the woman who has liberated herself from the narrow confines of an inflexible, full time career, and continues to achieve her potential doing work she loves, while being the mum she wants to be? What do you think? Vera Gavizon is co-founder at Workhoppers.com, an online matching site for flexible work, designed specifically to help companies easily find the right local candidates and connect with them directly.